The review below is presented here as it was originally published in MARCI Magazine, in the Fall of 2009 (with minor edits). During that time, Helen had retired from live performances and was concentrating on her other interests, including hypnotherapy and genealogy. I am reposting it here in honor of Helen’s 75th birthday, October 25, 2016. I have included followup notes and links at the end of the review, below. 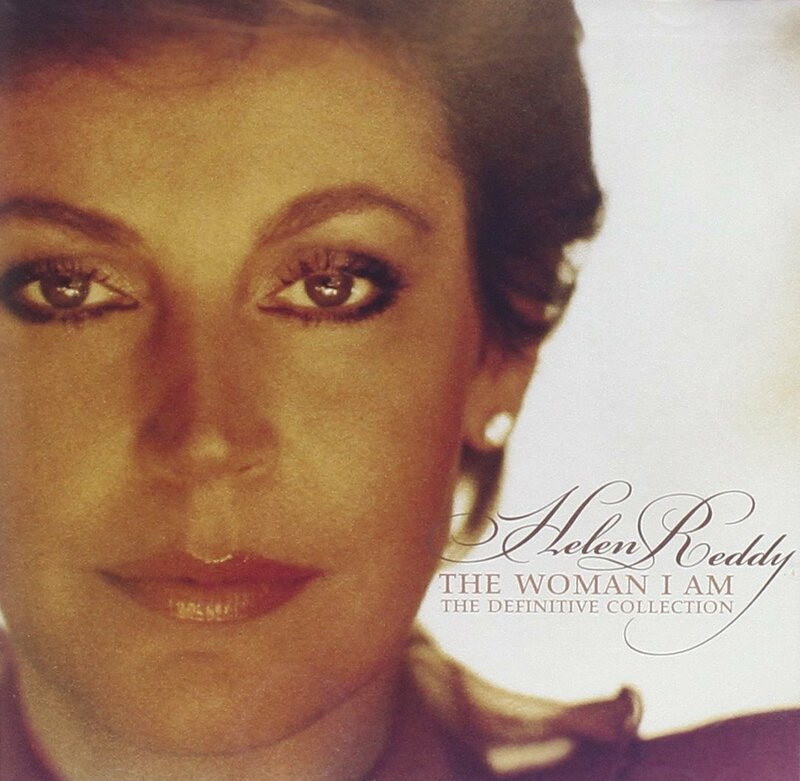 If your memory of singer Helen Reddy is her 1972 hit, “I Am Woman” you may only know half the story. Although her roots are in show business, these days Helen is a clinical hypnotherapist. She speaks at events throughout the world on subjects ranging from past-life regression to awakening your intuition, and she was recently the keynote speaker at the Edgar Cayce Conference in Virginia Beach. A third generation performer, Helen was born in Melbourne, Victoria, six weeks before the bombing of Pearl Harbor. Her parents were stars in their own right in Australian vaudeville, radio and TV. Helen began singing onstage at age five, but it was an out-of-body experience at age eleven that started her on a road of spirituality that she has continued throughout her life. Video of Helen Reddy performing “I Am Woman” before a live audience on “The Midnight Special” music television series, February 2, 1973. Helen was also the host of the show until 1975. In this book, Helen takes us along with her as her life unfolds, allowing readers to see what informed her ground-breaking feminist anthem. We get to meet the girl who dreamed of stardom as well as the woman who left it all behind to pursue the healing arts. And along the way she became the first Australian to have her own network TV show in the USA, the first to have three number one singles in one year and a career in which she achieved international success in every medium of performance. Helen is also a founding member of the Tasmanian Genealogical Society and writes extensively throughout her book about her family history, which extends all the way back to Australia’s First Fleet. In a chapter called “Royalty and Reincarnation”, Helen details her intuitions on the House of Windsor, including a detailed chart of who came back as whom and why they did. It’s a fascinating read and a wonderful insight into group karma. There is only one point on which I found myself in disagreement with the author; when she states the way that psychics should be paid for their work. But it is easy to overlook these two sentences in a book that held my attention throughout. I found it thoroughly entertaining and enlightening. When I wrote this review in 2009, it was for the holistic publication, MARCI Magazine. You can see that the overtones within it are geared to their readership. It was also written at a time in her life when Helen had retired from show business entirely. After a decade long hiatus, boosted by a performance at her sister’s birthday party, she returned doing to live performances in 2012. I am happy to say I was able to see her perform on July 29, 2013 at the Bergen Performing Arts Center (Bergen PAC), seated beside Jim Keaton, her longtime friend and manager of her fan club. I had seen her perform live many times over the years, and she remains one of my greatest musical inspirations. I also had the pleasure of meeting Helen face to face a few times, and always found her to be gracious and approachable. In fact, the first time I met her was a funny story, but I will save that for another time. To my friends who love Helen and her music as I do, this review is for you. To Helen, thank you for all the years of inspiration and entertainment. It is always a pleasure seeing you in person and I hope to do so again soon. I wish you the happiest and healthiest of birthdays with a lot of love. Helen performed and toured on a limited schedule throughout 2013 until retiring from live performances in 2015. She currently resides at the Motion Picture Home in Woodland Hills, California. You can learn more about Helen online at her Wikipedia page here. Also see her discography here. 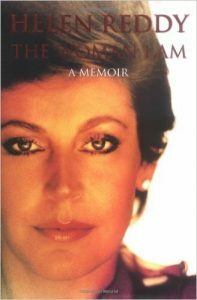 The memoir mentioned above is also accompanied by a beautiful and thorough collection of her hits spanning three decades entitled, The Woman I Am: The Definitive Collection. There is also an audiobook version read by the author. You can purchase the CDs and download the mp3s here. In addition to other recordings, all 12 studio albums Helen recorded for EMI are now available worldwide. Extremely rare and previously unreleased Audio and Video are available for purchase or download through her website. Listen any time to all this rare music featured on her online Exclusive Music page here. Helen’s Official Facebook Page can be found here. She also has a worldwide fan base that is very dedicated to preserving her work and keeping it alive online. Here is the best resource for Helen’s videos on YouTube, Reddy Rocked the 70s. 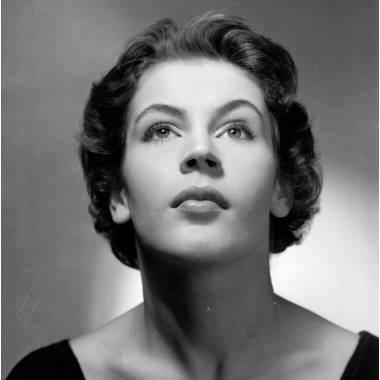 Music trivia buffs will want to connect with her trivia page on Facebook, Helen Reddy Trivia Page. 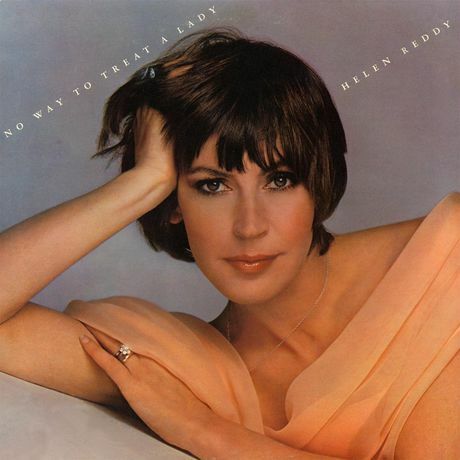 You can also find Helen Reddy at Amazon and iTunes. © 2016 Adam Rothenberg & Jefferson Harman. All rights reserved. On the way to see Olivia Newton-John in concert recently, I was driving with my best friend Carolyn, who I’ve known since I was eleven years old. We were talking about how we used to sing Livvy’s songs as teenagers. At the time, we sang in our local church as a duo and always had an eye out for popular songs that we could play because they fit the theme of the service that week. The first one we chose was Have You Never Been Mellow. We talked about how unusual it was to play that song in a church setting but afterwards, everyone was complimenting us on the song and wanted to know where they might get a copy. That was the magnetism of Olivia Newton-John then and I’m happy to say she’s still got it all these years later. And wouldn’t you know it, when the concert started, “Mellow” was the first song she sang! Before the show, we went on to the Wellmont Theater’s website to get the details. As a lifelong fan, I thought I knew pretty much all there was to know about Olivia, but her bio was six typed pages long and I found myself discovering so many new and wonderful things about this amazing performer. From her work in music and movies, to her environmental activism and philanthropy, Olivia’s is a story that deserves a closer look. With four Grammy awards and sales of an estimated 100 million records, Olivia Newton-John is one of the world’s best-selling music artists of all time. Yet what struck me most about this concert was her warmth; her ability to connect with the audience over and over again with songs that span a career of five decades. Throughout the evening, there were times when you could close your eyes and her voice sounded so much like it did on the original record. The songs included selections from her 1980 movie Xanadu, including my favorite of all her songs, Magic. There was also a country medley of her early hits, which included Bob Dylan’s If Not For You, John Denver’s Take Me Home Country Roads, Please Mr. Please and her Top Ten hit, If You Love Me, Let Me Know. But the highlight of the medley was her cover of Dolly Parton’s Jolene. On the album cut, she soars at the end with a mournful soprano wail that hauntingly shows off her vocal range, and at the live show she went even higher, to the audience’s amazement. Following the medley, Olivia sang two of the biggest songs from her post-Grease albums, A Little More Love and the blockbuster hit, Physical. The latter spent a record 10 weeks at the top of the Billboard Hot 100 Chart, and at this show, she had everyone on their feet singing, clapping and “working out”. 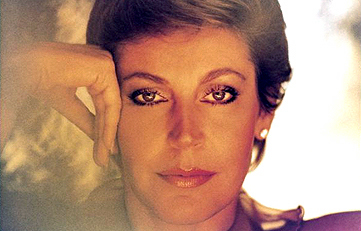 In a more intimate moment, Olivia spoke of her early years singing with her friend Pat Carroll, (wife of her long time producer, John Farrar) on television and at nightclubs throughout Europe. The duo performed many hit songs of the day, and during this time paid tribute to one of their favorite singers, Julie London. And with that introduction, Olivia sang a beautiful spotlit solo accompanied by her musical director, Dane Bryant on piano. Her rendition of the Arthur Hamilton torch song classic, Cry Me a River (from her CD Indigo: Women of Song) highlighted her ability to move seamlessly from one genre to the next. She could not perform all her hits, the concert would be more than three hours long. But she chose wisely, getting several standing ovations throughout the show, and on some songs like You’re The One That I Want, the audience stood and clapped and sang along throughout. During the Grease segment of the show, Olivia introduced two surprise guests who were in attendance, Didi Conn (“Frenchie” from Grease) and Clinton Kelly (What Not to Wear). She invited them both to join her onstage for what became a huge audience participation number with the legendary song Summer Nights. In 1992, Olivia was diagnosed with breast cancer, and inspired by her treatment and recovery, recorded her most critically acclaimed album, Gaia: One Woman’s Journey. From this she performed Not Gonna Give Into It, an uplifting song that speaks to her talent not only as a singer, but as a songwriter as well. Throughout the evening, Olivia was accompanied by her excellent band, with whom she has toured for many years. You can tell there is a warmth between her and her band mates that makes them seem more like old friends, and each joined her at one point or another to perform duets or instrumental solos. Vocalist Steve Real sang on the duet Suddenly and also on a touching duet entitled Fulfilled, from his own new CD, Never Too Late. Warren Ham was particularly interesting to watch, as he moved from sax to flute, harmonica and vocals, from the bass in If You Love Me Let Me Know to the high tenor of You’re the One That I Want. Throughout, you could tell that everyone onstage was having a blast. Rounding out the evening were three exquisite ballads, beginning with the shimmering waltz, Grace and Gratitude. Next was her closing number, her signature song I Honestly Love You, written by renown songwriter Jeff Barry and the inimitable Peter Allen. Fans had their phones recording video throughout. Her encore, the Arlen and Harburg American classic, Over The Rainbow (from her children’s CD Warm and Tender) was the perfect end to a wonderful show. If you’ve ever been to a Meet and Greet after a concert, you know they can be brief. It was indeed a pleasure to chat and have our photos taken. But I was 3rd in a very long line, and after Olivia asked me about our new project here at Star Dreams Café, I had to move on. What I didn’t get to tell her was that I’ve listened to her music most of my life and been inspired by her work in my own singing and songwriting. And that my muse is her dearest friend, Karen Carpenter. I thank them both for a lifetime of music and memories, and wish Olivia Newton-John many more years of happiness and song. If you like our show, you can help support us here. Thanks!